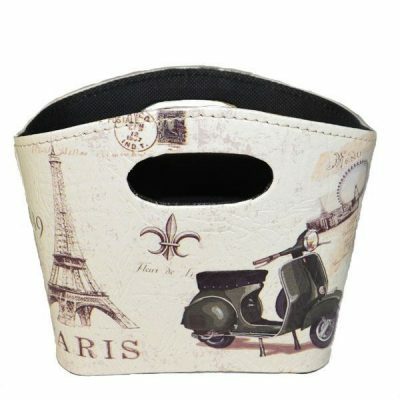 Genuine Vespa keyring is made from resin and metal with the ring attached using eco-leather. 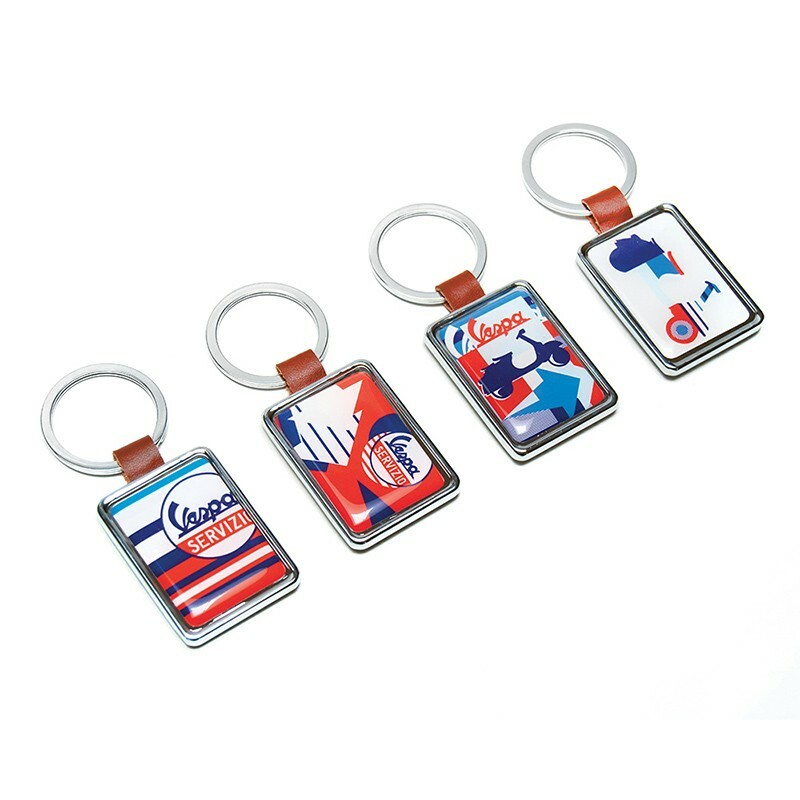 The keyrings feature the current Vespa Merchandise designs and are a bright addition to use with your Vespa key. This one is the third of the four pictured. 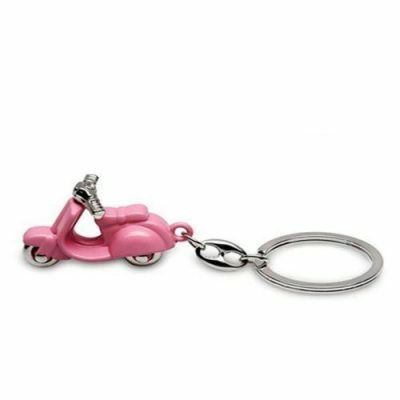 Vespa resin and metal keyring in bright Vespa designs.